Learn Amharic quickly, naturally and effortlessly with this bestselling course! Learning Amharic is enjoyable and rewarding! "Learn Amharic much faster than you would with conventional learning methods. It’s never been this quick, this easy and this much fun. The complete immersion automatically achieves perfect results." Are you ready to speak Amharic with ease and confidence? Save money now! Check out our Value-For-Money Special Offer! Why should you learn Amharic with our Express Course? You save time! We provide you with 12 learning methods that are empirically proven to accelerate progress with minimal effort. With the right tools you can work smarter, not harder. After 5 to 15 minutes you will know at least 7 to 21 useful words and phrases. By learning Amharic quickly you reach your goal in less time. This rapid progress is both advantageous and satisfying, the way learning your new language should be! Our innovative course has been meticulously designed by a team of genuine experts with university degrees in Language Science and Amharic mother-tongue speakers. Your natural ability to learn a language will be supported and leveraged, regardless of age. Our strategic reinforcement ensures that you speak Amharic with ease and confidence in minutes, not hours. With our complete immersion you will excel in real-world conversations and situations, as quickly and effortlessly as possible. You save money! Our multimedia courses are superior to, or as effective as, the language courses offered by the largest companies in the world; yet our price is far lower. We provide exceptional value-for-money. No other company in the world offers lifetime access to an equivalent Amharic Express course for our price! We are a proven market-leader with 79 available languages and more than 600000 satisfied customers. We were one of the very first companies in the world to pioneer online language learning. We have over seventeen years of experience in language course development and have consistently outperformed the previous year's sales figures. Over 2200 companies and organizations have chosen us as their language courses provider. 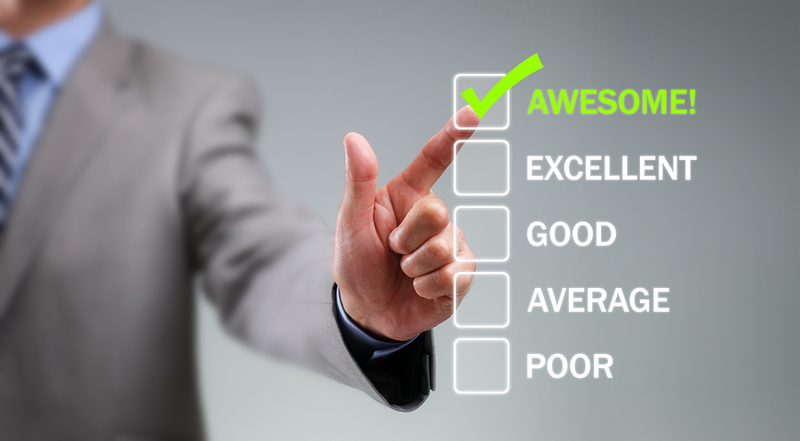 We are successful because our customers receive a better product at a better price! You have fun! Our course provides an enjoyable and efficient multimedia learning experience. Our intuitive course is clearly structured and very easy to use, so the entire learning process is optimized. Explore what you are interested in. You can take the course in your preferred order, so the content is relevant to your life. With our goal-specific motivational techniques and gamification learning methods, learning Amharic is both easy and fun! You’ll fall in love with the sights and sounds of the language. You can join our Insider Community where you can make new friends with like-minded Amharic learners from around the world, as well as exchange interesting information on the Amharic language and traveling in Ethiopia. You have lifetime access! We provide you with complete personal flexibility, so you can take / retake your course whenever it suits you at any time in the future. You can also pass your course on to your family and friends! All future upgrades and improvements are free. You won't ever spend another cent and this is handled for life. Our online course doesn't have to be installed and works on all computers (Windows / Linux / Mac / iPads / Android tablets / Windows tablets) and smartphones (Android, iPhone, Windows). You can access your course with one click, wherever and whenever it's convenient. We understand that you have a busy schedule. This individual flexibility ensures that you always progress at your optimal learning pace and that you do so without any adjustments to your schedule or location being necessary. Our innovative software tracks personal progress within a course, synced across any device you use, so that you always begin where you last left off. You have lifetime support! Every learner needs clear guidance from instructors that care. As your team of personal experts, we’re there for you throughout your fun experience of learning Amharic. We’re always available, at any time in the future. We genuinely want you to succeed because your success is our success. We designed this course for you to achieve excellence. With our unwavering support and encouragement every step of the way, your success is guaranteed! At this very second, tens of thousands of people just like you are learning their new language with our courses. Join them right now, completely risk-free, so that your rewarding experience of the sights and sounds of Amharic can immediately begin. You have the latest version! Our bestselling Amharic course has been upgraded and improved in 2019. Our comprehensive course now provides even more phrases and colloquial expressions. You, as well as the future recipients of this beneficial gift, will always have the latest version without ever spending another cent. This course will permanently meet your needs. A detailed overview of this particular course. How you will save money by receiving a better product at a better price. How our effective learning methods strategically reinforce the correct response. How you will save time with these modern courses. 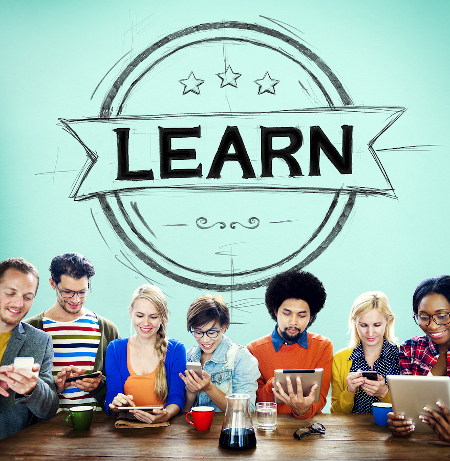 Why multi-device online learning is efficient and stress-free. If you would like information on all of the above, simply scroll down this page. We warmly invite you to take your time and continue reading until you are ready to check out our current special offer. Our website has no pop-ups or flickering messages, just relevant content. Enjoy! This people-focused course will teach you the 450 most important Amharic words, commonly-used phrases and colloquial expressions. With our modern learning methods your ability to speak Amharic will increase at a rapid rate. This user-friendly course will certainly be of benefit to you. You will learn practical Amharic that is also used in many other situations and conversations! You can read and listen to all of the words and phrases in Amharic, as often as you wish. All recordings were made in a professional studio with Amharic mother-tongue speakers. You'll learn Amharic as it is actually spoken in Ethiopia. You'll quickly be able to pronounce these words and phrases perfectly, which is easier than most people imagine it to be thanks to our science-backed learning methods. Meeting and greeting – the important first impression. Polite phrases – Yes, No, Please, Thank you: you need to know the essential basics. Numbers – paying the correct amount. Emergencies and accidents – vital words and phrases. Accommodation – organizing everything at your rented room / apartment. Navigation – you need to be able to find your way to important landmarks. Food and drinks – all you need to know. Transport – organizing the various options. Signs – what the signs on doors and roads etc. actually mean. Common questions – all practical and relevant. As well as many more interesting subjects! Make a positive impression on Amharic speakers! Get the most out of your trip to Ethiopia! Everybody appreciates being spoken to in their mother-tongue. If English is your mother-tongue it is easy to be lazy because many foreigners know some English, but have you ever stopped to ask yourself how you would feel if the situation was reversed? How would you react if a foreign tourist spoke to you in their mother-tongue while being in your country? "Travel is like life - what you put in is what you get out." How would you like Amharic speakers to respond to you? By simply making a small effort to speak their language you will certainly gain a warm response. Your trip to Ethiopia will be far more personable, meaningful and enjoyable! More than 450 words, commonly-used phrases and colloquial expressions that are all very useful when talking to Amharic speakers, both at home and in Ethiopia. 21 categories that have been thematically arranged and specifically chosen because they will be advantageous to you in many different situations. Immediate success! This course is perfect for those with limited time. Every 5 minute study session will produce successful results. Our powerful structures provide a strategic shortcut to learning Amharic. From essential words to authentic phrases, we’ve got you covered. An enjoyable and efficient multimedia learning experience. The complete immersion automatically achieves perfect results. Your natural ability to learn a language will be supported and leveraged, regardless of age. Our unique Long-Term Memory Learning Method that strategically reinforces the correct meaning of a word. You will thoroughly learn key vocabulary in the shortest time possible, without ever forgetting what you have learned. Your choice of 12 learning methods that are empirically proven to accelerate progress with minimal effort. With the right tools you can work smarter, not harder. After 5 to 15 minutes you will know at least 7 to 21 useful words and phrases. This rapid progress is both advantageous and satisfying, the way learning your new language should be! Goal-specific motivational techniques that keep you engaged and ensure you remain on track. Your ability to understand and speak Amharic will improve on a daily basis! A completely stress-free learning adventure. You’ll be delighted by your excellent progress, while going at your own relaxed pace. Manageable bite-sized daily exercises provide a structured pathway through the course. All exercises can easily be completed in less than five minutes. Anytime. Anywhere. Each exercise will be seamlessly integrated into your schedule for effortless learning on your terms. The latest version! Our bestselling Amharic Express Course has been upgraded and improved in 2019. This course is different to other language courses. Our market-leading Express Course has been meticulously designed by a team of genuine experts with university degrees in Language Science and Amharic mother-tongue speakers. You will automatically internalize Amharic as it is spoken in Ethiopia. From the very first lesson you will be immersed in our proven structures. You will thoroughly learn useful Amharic words, phrases and colloquial expressions in the shortest time possible. We provide you with superior learning methods and innovative motivational techniques that make learning Amharic both easy and fun! Would you like to learn more effectively and get perfect results much faster than you would with conventional methods? Would you like goal-specific motivational techniques and complete immersion learning methods that guarantee success? Would you like to learn Amharic naturally, effortlessly and quickly? Would you like the freedom to determine when, for how long and where you learn? Would you like a thorough and intuitive approach to learning the most important Amharic words, phrases and colloquial expressions? Would you like to make a great impression on Amharic speakers? Yes? Then the Amharic Express Course is right for you! You will receive a better product at a better price! 1) Do the largest companies offer the Long-Term Memory Learning Method? In 2002 we integrated the Long-Term Memory Learning Method into our language courses. Several other companies have subsequently come up with their own variation. However, our unique method is based on the exact discoveries of world-renowned memory experts. 2) Do they provide lifetime access to their course so that you, as well as your family and friends, can take / retake the course at any time in the future at no additional cost? No, they usually offer access for a limited time - either a month or a year at an additional cost. We believe our business model is more fair. We provide lifetime access to the purchased course for a one-off fee. You won't ever spend another cent and this is handled for life. You have complete personal flexibility, so you can take / retake your course whenever it suits you at any time in the future. You can also pass your course on to your family and friends. All future upgrades and improvements are free. The course will certainly make a beneficial gift one day. You will make some fortunate people very happy with the gift of a foreign language education. If you were to pass the competition's course on to your family and friends you could be subjected to legal action. We feel that is unfair because if you were to buy a language course book you can pass it on to your friends and family, so why should a digital language course be any different? 3) How do their prices compare with our current special offer? This is simple. No other company in the world offers lifetime access to an equivalent Express course for our price! With our unprecedented special offer our bestselling Express course is currently available for only $19,95 instead of the regular price of $29,95. This exceptional 33% discount is the biggest in our company's history! Let's say you learn the most useful basics of your new language within the next few days and then, years from now, you decide to retake your course just for fun. Many years after that, you decide to pass your course on to friends as a beneficial gift. Let's say during all of those years, your course was actively used for 10 months. $19,95 divided by 10 months is $1,99 a month. Would you regard $1,99 a month for a rewarding skill as great value-for-money? The ability to speak another language is a skill that you will continuously benefit from for life, therefore the price structure of a language course should also be viewed in the long-term. For example, after ten years of unlimited access your course cost $0,16 a month. The one-off fee of $19,95 divided by ten years is $0,16 a month, which is certainly great value-for-money. You had the complete personal flexibility to take / retake / pass on your course whenever it was convenient for all of those years, as well as the benefits that are continuously derived from speaking a foreign language. Spread out over a lifetime, the price becomes insignificantly low. That is the advantage of a one-off fee: the price is locked in and cannot increase, but the value-for-money continuously increases every month for life. We believe our price is fair and our 600 000 satisfied customers agree. 4) Do they offer 12 effective methods for you to learn and test yourself? No, they usually offer between 4 and 7 methods. Our learning methods are empirically proven to accelerate progress with minimal effort. We provide the tools you need to work smarter, not harder. In the shortest time possible you will be able to chat with mother-tongue speakers of your new language, without any adjustments to your schedule or location being necessary. 5) Which company is offering you more value-for-money? That question is answered by the answers to the questions above. It would be difficult to argue that any other language course company in the world is offering you more value-for-money. Even our competitors would have to admit that we provide our customers with excellent value-for-money. 6) Were their language courses designed by genuine experts with university degrees in Language Science? We find it interesting that so many language course companies, ranging in size from small to large, make no mention of their course designer's qualifications. Did they just decide that they were qualified to teach foreign languages? If they have university degrees in Language Science, as our course designers do, then surely they would want their potential customers to know that and would mention it on their websites? 7) Do they provide specific techniques that ensure you stay engaged, motivated and on track throughout the learning process? We can't comment on that particular aspect of the competition's products, but our innovative techniques are proven to sustain motivation. Almost all of our customers complete their courses. 8) You will listen to mother-tongue speakers in all 79 of our available languages. How many other language course companies, anywhere in the world, offer courses in that many languages as indisputable proof of success? The last thing anyone wants to do is waste money on inferior products that don't achieve desired results. There are many substandard language course companies in the global marketplace, but there are only a few other companies that we would regard as healthy competition. Our multimedia courses are superior to, or as effective as, the language courses offered by the largest companies in the world; yet our price is far lower. We are a privately-owned company that chooses to be great, rather than massive. Several of our main competitors are either listed on a stock exchange or co-owned by private equity firms. While our competition spends a fortune on advertising, we rely more on positive word-of-mouth from our satisfied customers. We spend most of our income on continuous product development. All successful products have at least one unique feature. Our innovative courses have several unique features that separate us from our competitors. (A detailed explanation of our unique features can be found below.) We are well aware that value-for-money is the most important factor for most people, so we hope that our current special offer makes the decision to buy your language course from us as easy as possible for you. 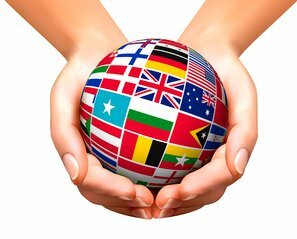 LearnLanguages24.com is a globally respected brand with a proven track record. 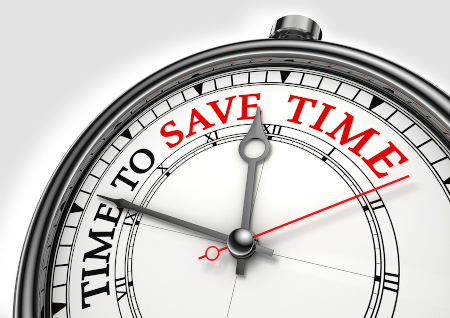 We know how to get the job done properly, so that you achieve maximum return on your time invested. We are a highly established market-leader with over 600 000 satisfied customers and counting. That number only includes customers that have paid for our language courses, not people that have received a free giveaway. We have over seventeen years of experience in language course development and have consistently outperformed the previous year's sales figures. The reason for our success is simple: you will receive a better product at a better price! Our company mission is to provide you with the easiest, fastest, most enjoyable and effective ways to learn Amharic. Our knowledge has increased over the years. We have listened to worldwide authorities on the subject of foreign language education, as well as our customer's comments and suggestions. Our modern learning methods are based on the most important developments in language science and learning theory. We have made learning Amharic as easy as possible for you by supporting and leveraging your natural ability to learn a language. You are already completely fluent in English. By connecting your existing knowledge with its Amharic equivalent, a clear pathway to mastery is created. This logical association enables you to learn Amharic in the shortest time possible and with the least effort. Your cognitive knowledge of English is extremely well organized. Integrating Amharic into this existing framework maximizes both the speed of assimilation and the longevity of retention. Many experts agree that the Long-Term Memory Learning Method is the most effective way for a person to remember information. Research has also shown that the human brain can store more information if that information is grouped together within one subject. It is far easier for you to remember seven new words concerning one subject, than it is to remember seven new words concerning seven different subjects. We have optimized the learning process by teaching you seven words at a time, grouped together within one subject. The progressive order in which the words are taught to you has also been optimized. Memories are vibrant, colorful and powerful; therefore the learning methods that create memories should be the same. After more than seventeen years of research and development we can proudly present language courses that are enjoyable and efficient. You will learn Amharic naturally, easily and quickly. We’ve done all of the hard work for you, so that you can simply relax and enjoy effortless learning. Our proven methods cover the full range of how people learn most effectively, so we have compatible methods that will be a perfect match for you. The complete immersion automatically achieves perfect results. Your innate potential to learn a language will immediately be unlocked. Again; our company mission is to provide you with the easiest, fastest, most enjoyable and effective ways to learn Amharic. Mission accomplished! The most important aspect of language learning is a clear channel from short-term memory to long-term memory. Any word in any foreign language can easily be retained in your short-term memory for a short period of time, but without systematic repetition it will not be transferred to your long-term memory. Our unique Long-Term Memory Learning Method is derived from the most significant developments in learning theory and language science. You will learn new Amharic words and then be requested to give their meaning at specific intervals. The meaning of an Amharic word will be requested on the first day. Then again on the following day. Then another two days later. Then another four days after that. Then finally again, another nine days after that. If you consistently get the word correct at these specific intervals, you will know the Amharic word forever. It will have been committed to your long-term memory! If at any stage in the above mentioned process you get a word wrong, that word will automatically be placed back into the request cycle. On each study day new words will be placed into the request cycle. With this scientifically-proven learning method your vocabulary will increase at a rapid rate. You will thoroughly learn all of the most essential Amharic words in the shortest time possible. By Typing the word: this is a very thorough approach. By Instant Check: simply click on a button to show if you know the word or not. By Multiple Choice: you will be presented with a word to translate. You then choose the one correct translation from either five, seven or ten words. Learning is fun when it's a game! Of course, as you consider the correct translation you automatically consider the meaning of all the other words as well. Our unique Long-Term Memory Learning Method strategically reinforces the correct meaning of a word. This ensures you learn Amharic words thoroughly and quickly, without ever forgetting what you have learned! Manageable bite-sized daily exercises provide a structured pathway through the course. All exercises can easily be completed in less than five minutes. Anytime. Anywhere. Each exercise will be seamlessly integrated into your schedule for effortless learning on your terms. You will learn new Amharic words and revise old words with the Long-Term Memory Learning Method, as described above. You will be presented with interesting Amharic dialog texts or commonly-used phrases that will be of immediate practical benefit to you. Sometimes you only have to read and listen to the sentences. At other times you will be given a sentence with a word missing, or a word with letters missing. You simply 'fill in the gap'. In short, on each study day you will be presented with various exercises that ensure you thoroughly absorb your new language. The daily exercises provide a structured pathway, but you can easily create your own pathway. You can take the course in your preferred order. All of the courses are filled with compelling content that is relevant to your life, so you can explore what you are interested in. After completing each exercise you will earn points. Once you have earned the required points you advance to the next level. This provides a personal reference to show how far you have advanced and is very motivating once you get going! 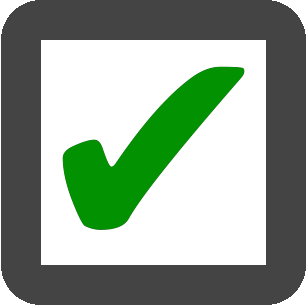 If you want to, you can transfer your points to the online scoreboard after each study session. You don't need to register and it's completely free. This allows you to compare your progress with other learners. You can also see the current top scores of other learners that have transferred their points to the scoreboard, from all language courses. To give you a fair chance of catching up this is done per designated area, not per country. All of our customers can become part of our colorful Insider Community. You can interact with other like-minded learners, offer interesting information or simply see what others have to offer you from around the world. Like any forum, you can be as active or as passive as you wish. Staying connected to the bigger picture and making new friends is great fun! We provide you with many learning and testing methods! This is a quick way to learn and test yourself. Read a word / commonly-used phrase and think about the translation. You will also hear the word / phrase in Amharic. Click on 'Show answer', then click on whether you knew the correct answer or not. This saves time because you don't have to type in the answer. You can switch back and forth between testing yourself in English or in Amharic. Read a word in either Amharic or English and think about the translation. Listen to the word in Amharic. You will then be presented with your choice of between three and fifteen possible translations (you can choose how many possible translations appear). You then have fun choosing the one correct translation. This is a very thorough method. You can type in the translation of words or commonly-used phrases. You can listen to the word / phrase in Amharic. If your spelling is correct simply move on. If not, type in the correct spelling. This learning method ensures that you have spelled every word and phrase in the course correctly. Read through a list of Amharic words or commonly-used phrases. With a simple click you can also hear all of the words / phrases in Amharic, as often as you wish. Listening is a relaxing yet very effective learning method. You automatically associate what you hear with what you read. The entire contents of a lesson will be presented, which provides a convenient overview of the particular lesson. Read the words or phrases as they appear on your screen, listen to them in Amharic and then repeat what you have just heard. This is a copying game. Pretend you’re an actor and you have to imitate the native speakers. Whatever they say, you have to say. You will quickly develop accurate Amharic pronunciation and intonation. You can decide how much time elapses before the next word or phrase appears. Read an individual word in either English or Amharic. Think about the translation, then with a simple click the correct translation appears. You can hear all of the words in Amharic, as many times as you wish. This is an ideal way to learn and test your knowledge of individual words. A list of covered words or phrases will be presented to you, in your choice of either English or Amharic. You simply uncover the correct translation by 'hovering' over the covered section with your cursor. This is the fastest way to test your knowledge of Amharic words and phrases. Individual words or phrases will be read to you in Amharic. You then type in what you have just heard, without reference to the text or the English translation. This exercise is recommended for those who are nearing the end of a course and would like to practice their Amharic spelling. You can make your own flash cards by printing words and phrases onto paper. This is a great way to learn when you don't have Internet access. All you need is a standard printer with standard paper and a pair of scissors. You can print out the current lesson, or all lessons. Type a word into the 'Search function' and it will instantly be translated. You can view all of the references to the word in the course at the same time so that you learn how the word is used in various contexts. With a simple click you can also hear all of the references in Amharic. Only the first part of a word will be visible and you have to complete the word. This learning method is very helpful when focusing on Amharic words where the last part of the word changes to give a slightly different meaning. To keep the learning process interesting we have integrated various tricks and tips into the courses. The fact that we group seven Amharic words together is based on solid scientific research. Seven is the 'magic' number for the human mind. It has been proven that by learning seven new bits of information at a time, you can remember the most amount of information. That is why we optimized the learning process by teaching you seven words at a time, within one specific subject. In the test section you will give the Amharic translation of a word until you know it by heart. Easy words usually drop out of the program after 2 or 3 repetitions, more difficult words after 5 or 6 repetitions. Words that you often get wrong will appear more often than other words, until you also know those words by heart. This is a very effective way of ensuring that you know all of the Amharic words in the course. You can see exactly how long you have been studying for. Only the actual studying time is shown, so for example if you take a break for an hour the clock will not run during that hour. If you want to, you can see how many times you have repeated a particular word. Words that you consistently get right automatically fall out of the request cycle. Words that you get wrong stay in the request cycle until you get them right. This course will ensure that you continuously improve to the point of getting every word correct, every time! Studies have reported that after a person has been studying for 30 minutes their concentration levels begin to deteriorate. You will be reminded that you have been studying for 30 minutes and that a break is recommended. Go for a brief walk and drink a glass of water. Thereafter you will be ready for the next 30 minutes. Of course, you can simply ignore the recommendation and continue studying. At specific intervals you will be given tips on how to study more effectively and achieve your goals. Learning is fun when it's a game. We know that you are far more likely to complete a course if you are enjoying it. Our goal is that every single one of our customers achieves their goal, whatever level that might be. We want to be your expert guide through this fun and beneficial experience! We hope that our superior learning methods and attention to detail has convinced you that we are the right language course company for you. 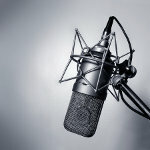 All recordings in our courses were made in a professional studio with mother-tongue speakers. You will learn Amharic as it is actually spoken in Ethiopia. All of the words / commonly-used phrases / sentences can be heard individually and repeated as often as you wish. The recordings can also be played continuously, if you select this option. You will automatically internalize the correct pronunciation and intonation of your new language from the very beginning! 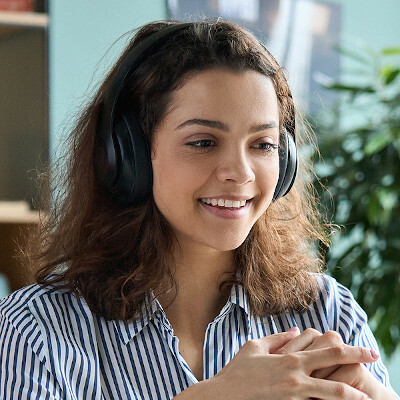 Together with a specialist company, we developed “next generation” Super-Learning music that is tremendously beneficial when learning a new language! 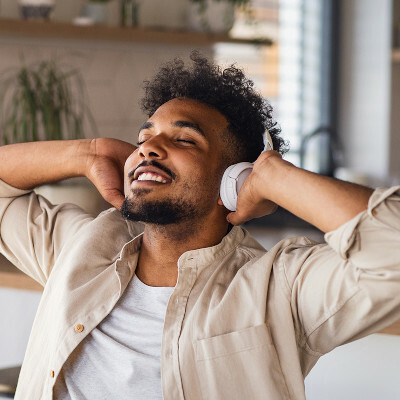 Super-Learning music is designed to place you in a relaxed and focused state. If you want to, you can learn Amharic while listening to this relaxing music in the background. By listening to music that has no vocals, you preoccupy the part of the brain that delivers random thoughts. This frees your mind of day-to-day thoughts, so that you can completely concentrate on the Amharic words and sentences. Freed from the distraction of irrelevant thoughts, you can learn far more efficiently. Those who listened to Super-Learning music learned the foreign words on average 32.9% faster than those who learned without music. We also found that users of Super-Learning music learned on average 60.7% longer than those who learned without music. Have you noticed how you only need to hear a song on the radio a few times and you can remember the lyrics? Once you know the song, many years can go by but as soon as you hear the song again you can easily recall the lyrics. It's as if the 'recorder' in your brain simply presses 'play'. Interestingly, the drumbeats in the song directly assist in memorizing the lyrics. You know exactly when to sing the next line of the song based on the beats. Once researchers realized that the beats helped the words to 'sink in' to memory, they were determined to find out which beats increased learning to a maximum. That is how Binaural Beats were discovered, which greatly assist in memorizing words. We have integrated Binaural Beats into our music. This allows your brain to remember Amharic words and sentences as if they were lyrics, which vastly improves your ability to recall them. Stress inhibits your ability to learn. Only those who are relaxed can retain new information quickly and effectively. Super-Learning music creates the ideal environment for deep relaxation and a quiet mind. By eliminating counter-productive distraction, you optimize your learning time. By learning Amharic faster you reach your goal in less time and with less effort. You simply turn the Super-Learning music on and you immediately receive the benefits. The music is quieter (-8db) than the Amharic words and sentences you hear. That way the music remains in the background and merely compliments the Amharic mother-tongue speakers. Super-Learning music is designed to be pleasing because the more you hear it the faster you will relax. After a learning session you will continue to experience the benefits of greater relaxation and increased concentration. Tens of thousands of learners use Super-Learning music every day with great results. Of course, if you prefer to learn without music, the Super-Learning music can simply be switched off. We understand that you have a busy schedule. Our modern courses automatically match your personal optimal learning pace and accelerate your progress with minimal effort. This ensures that you learn Amharic in the shortest time possible, without any adjustments to your schedule or location being necessary. If you dedicate just 5 to 15 minutes a day to the course, or 2 hours once a week, you will quickly see exciting results. Our modern courses easily fit in with your schedule; anytime, anywhere. This flexibility is greatly appreciated by our customers. The average study session, based on all of our customers, lasts exactly 14.52 minutes. That's all it takes. If they can do it, so can you. Our progressive courses have motivational techniques that ensure you stay engaged and on track throughout the learning process. Our empirically-proven learning methods ensure that your ability to understand and speak Amharic will improve with every study session. This constant improvement is immensely satisfying, the way learning your new language should be! Our software tracks your personal progress within a course, synced across any device you use, so that you immediately begin where you last left off and no time is wasted. If you feel that you currently have minimal time to learn anything new, remember that once you have purchased this course you own it for life. You can take / retake your course at any time in the future. By purchasing your course today, you have taken the first step. That first step means that you definitely will learn Amharic! When you have momentum, however small, everything becomes easier. With some basic planning you can find 5 to 15 minutes during the day or night to learn your new language e.g. while eating a meal or drinking a cup of coffee. Many people have found that the best time to learn is right before going to sleep at night. Like most people you're probably exhausted then, but remember that your brain never sleeps. It is constantly working, organizing and prioritizing whatever you give it. Learning a new language certainly gives your mind something positive to focus on. 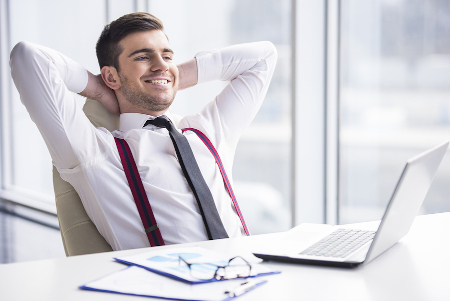 You're gaining a rewarding skill that continuously enriches your life in many beneficial ways! What is the key to our progress? What are the defining traits that underwrite all human progress? Everyone strives for a better life, for ourselves and for our loved ones. That is one of the defining traits of being human. As we collectively strive for a better life we propel the entire human race forward. Interestingly, our collective human progress can largely be attributed to two primary factors: our ability to communicate and therefore co-operate with each other. These two extraordinary abilities separate human beings from all other living creatures. Communication is the key to our progress. Without communication there is no education. Without education we cannot benefit from the knowledge gained by others. Freely-chosen education feels good because it automatically brings progress into our lives. If life is feeling a bit stagnant or constricted, education is the cure. Why? By increasing our knowledge we open doors that were previously closed. This releases the constrictive feeling of limited options. By learning a new language you tap into the human desire to explore new worlds and be connected to the endless possibilities that are out there. When you have the ability to communicate in more than one language, your options increase exponentially. When options increase, stagnation and constriction decreases. Learning a new language opens several doors that remain closed to those that can only speak one language. Behind these doors are fun experiences, new friendships, relationships, career opportunities and personal growth. Opening the doors is easy – you simply have to do it. Having ascertained that the ability to communicate in another language increases options and possibilities, the quicker you have that ability the better. Our unique learning methods accelerate progress with minimal effort. We provide the tools you need to work smarter, not harder. By learning Amharic far quicker than you would with regular learning methods you reach your goal in far less time!
" We wish we'd heard about you earlier!! My husband and I spent $575 on a Pimsleur Italian course and $497 on a Rosetta Stone Spanish course. We bought your Portuguese course and were amazed to find that it's even better, at half the cost. Neither Pimsleur nor Rosetta Stone include a business course, for double the price. Rosetta Stone just throws you in the deep end, with either zero English or not enough to work with. Your courses have both. [Management explanation: English and the foreign language are interchangeable in all of our learning methods.] What we like most is learning real sentences that we’ll definitely use. That’s why we tell everyone who will listen that Learnlanguages24.com is the way to go!!" " I did a lot of research before buying your French courses. I wanted software that ticks all of the boxes, from value to effectiveness. I definitely found it. I feel like I’ve been winning right from day one." 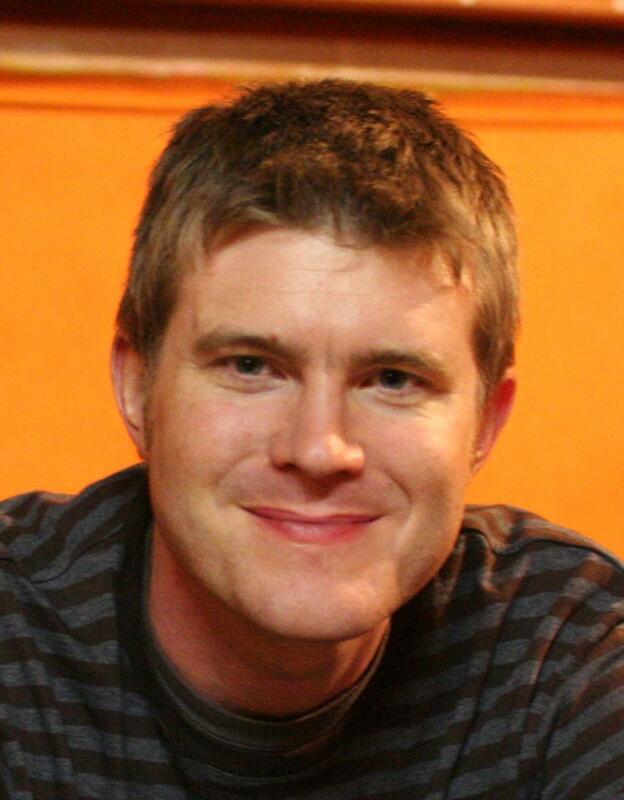 "I want to let you know that I really enjoyed your Spanish course (full package deal). The conversations are practical. I often found that I was using what I had just learned the day before. That helped motivate me to keep going. I also didn't feel like learning was a chore. I am a teacher and your courses have given me a few ideas on how to teach. It is obvious to me that you are experts in your field." "I have found your company’s training methods to be effective. I particularly enjoy the multiple-choice method as it requires dedicated concentration. The various conversations have helped with my pronunciation. All in all, your courses offer commendable value-for-money. Congratulations on a job well done." "I decided at the tender age of 71 to learn Japanese. While I haven't found it a breeze it is great fun, especially working on my pronunciation often leads to a big old belly laugh. I can say, much to my delight, that the words are sticking and I'm motivated to see how far I can go. My daughter told me she overheard my grandkids bragging to their friends that I can speak Japanese. They think it's 'cool'." I work in IT, so I appreciate the logical order and clear structure of your software. The various learning methods are indeed efficient and the voice recordings are clear. My son (14 years old) is also enjoying learning new words on his tablet. We have found integration into German culture a bit easier thanks to your courses. Keep up the good work." "I'm letting you know that I think your language courses are excellent! I've purchased two full courses from your company (Italian and Spanish) and am proud to say that I now speak two foreign languages fluently. The basic course and the advanced course were easy to follow, the expert vocabulary trainer took me all the way to being fluent. I really went for it, but it was definitely worth it! 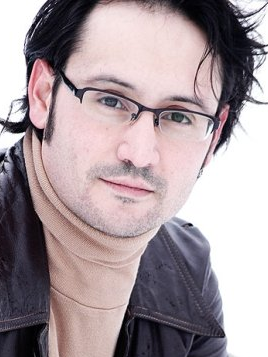 I'll continue to recommend your company to others that want to learn a foreign language." " Your courses offer great value for money. They are comprehensive and easy to follow. 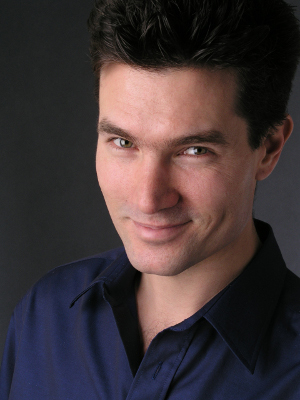 I have no hesitation in highly recommending your company because your courses work." We have many more Customer Reviews. If you're new to streaming you'll love this particular aspect of modern technology! Learning used to be restricted to a nearby school, but those days are over. Location independent learning on multiple devices is simply superior. Schedule conflicts are also a relic of the past. Learning has been seamlessly integrated into our everyday lives. We can learn precisely what we want to learn, precisely when we want to learn it. The stress of driving to school has been eliminated, along with the stress of making mistakes in front of an entire classroom of students. Personal mistakes are now seen for what they are, a healthy step on the path to perfection. You will access the language courses via the Internet using so called streaming, which is simply the term used to describe the viewing or operating of digital information through your computer. The overwhelming majority of people prefer streaming to buying DVDs and CDs, with this number growing by tens of millions every year. In terms of storage, you could compare streaming to listening to music on a radio. With a radio you can listen to music whenever you want to, but the music is not stored on your radio. It is simply 'streamed' through your radio. It is the same with streaming. Your computer does not store the language courses, but simply allows you to view and operate them. In this case, you could also think of streaming as simply viewing a website. The website is visible to you, but it is not installed on your computer. Our language courses are comprised of software (digital information) that is stored on our computers. When you purchase language courses from us you are purchasing the right to view and operate the courses, at any time that suits you and as many times as you wish. Thanks to the Internet, the location of your computer and our computer is irrelevant. So streaming simply means that your computer sends a request to our computer to view and operate the courses. Our computer immediately grants unlimited access to the requested courses so that you can learn your new language right away. It couldn't be easier! Safety is one of the best features of streaming. Your computer has unlimited access to the language courses, but the courses are not downloaded from our computer to your computer which means that you cannot receive any viruses or any kind of malware from us. Of course, our computers have no viruses or malware! We are 100% certain of that because we wrote 100% of the code ourselves! The point is even if we did have potentially damaging code on our computers (purely theoretical because our computers are 100% clean), streaming eliminates the possibility of your computer receiving any potentially damaging code from us because the courses remain on our computers. We want our customers to have absolute peace of mind and that is why we only offer our language courses via streaming. Absolute peace of mind is the beginning of absolute customer satisfaction. 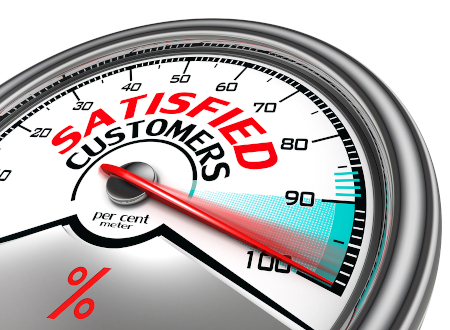 We know that satisfied customers are our best salespeople! Thanks to streaming, you have permanent access to your language courses. Your personal access link can be used on any device that can connect to the Internet, at any time of day or night from anywhere in the world. You can also take your courses as many times as you wish at any time in the future, or pass them on to family / friends and it won't ever cost another cent! Streaming has many advantages, which is why it is in such widespread use all around the world. Here is a list of 18 advantages of streaming. (We have subsequently come up with several more, but these are the first 18 that we came up with and certainly suffice to make the point clear.) 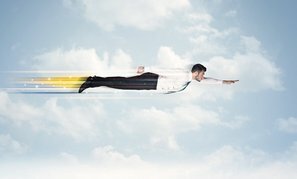 The first 7 advantages pertain to company costs that would normally be passed on to the customer. Streaming has completely eliminated these costs, therefore our language courses cost significantly less than they would if we sold them to you in books or on CDs. We don't have to waste money on plastic and cardboard packaging. The cost of shipping a physical product from one country to another has been eliminated. Somebody has to wrap and label a physical product and then take it to the post office. Streaming has eliminated this staff cost. Renting or buying warehouse space for the storage of physical products is expensive. Streaming has eliminated warehouse storage costs. Unlike businesses that make a physical product, we have no ongoing manufacturing and printing costs. We require no raw materials and no machines to make the raw materials into a product. Unlike businesses that make a physical product, we have no extraneous waste costs. We have no physical product that could get lost or damaged while being transported to your address, or that could break during the manufacturing process. Buying our products via streaming (officially called e-commerce) means that you do not pay any tax on any of our products. Most of our customers live outside of Europe; in either the U.S.A., Canada, India, Australia, New Zealand, South Africa etc. and therefore are not subject to any sales tax on our products. That is European law. The same law states that only residents of countries within the European Union would normally have to pay sales tax on our products (called Value Added Tax, or VAT, in Europe) and so that amount would normally be added on to the price for our European customers. We want our products to be tax-free for all of our highly valued customers, irrespective of where they live. We also want the same products to cost the same price for all of our customers. That is why we pay the VAT for our customers who happen to live in a country within the European Union such as the U.K., Ireland etc. You also do not pay any import tax or customs and excise duty on any of our products. This would not be the case if we had to ship a physical product from our country to your country. So, thanks to streaming, you will not pay any tax on any of our products and it makes no difference where you live. By streaming the digital language courses on your computer you avoid spending a far greater amount of money attending a language school (that has little choice but to charge higher fees because of all their extra costs). These first 8 advantages all result in saving you significant amounts of money! You now know the main reasons why our language courses are so reasonably priced and how we can offer such a large discount with our current special offer! You save time. By streaming your language courses on your computer you avoid spending valuable time commuting to and from a language school. You also avoid trying to learn at a pace that might suit other students, but could be too slow or too fast for you. Owning your own digital language courses means that you learn at your personal optimal learning pace and that you do so at any time of day or night that suits you. You are not bound to one language school building. By streaming your language courses on your computer you have the freedom to study from the comfort of your own home (provided that you have Internet access at home). If you are away from home you can also study anywhere that has Internet access such as an office, a coffee shop, a hotel or anywhere else that suits you. Streaming your language courses can be done from any location and on any device that has Internet access, anywhere in the world. You also don't have to spend money on transportation to and from a language school building, or drive around at night. You help the environment. The global manufacturing, as well as the inevitable local discarding, of CDs and packaging materials for digital products is an unnecessary burden on the environment. Furthermore, moving a physical product from one country to another by ship or air freight requires burning fossil fuels which add small amounts of pollution to the atmosphere. So does moving the physical product from the harbor or airport to your address. Streaming is far more environmentally friendly than the traditional manufacturing and shipping of CDs, paper books and packaging materials. Streaming can be done on any type of computer. If you were to purchase language courses on CDs you would require a computer with a CD reader. Global sales of computers with CD readers are in decline as demand continues to fall. Regardless of whether you prefer a desktop, laptop, tablet or smartphone; streaming gives you the freedom to use the device of your choice. Your language courses do not take up any space on your computer's hard drive because they are not stored on your computer. The courses are simply streamed through your computer. This saves several gigs of your computer's limited storage capacity. Streaming also eliminates the need to purchase any external storage devices to store your language courses, which could get lost or eventually break down. You avoid clutter. Streaming eliminates the need for bulky language course paper books and CDs, which merely add unnecessary clutter to your home or office. Streaming makes it difficult for software pirates to steal our software and then sell illegal copies. The time and effort required simply would not justify the result or the risk of being caught. Of course, software pirates could film the courses with a camera / use capture software but that would not work because our language courses are interactive! The reasons are explained in the answer to the question, "Can two or more people operate a language course at the same time?" found in the FAQs. Streaming is safe. If you were to download a digital product from an unethical vendor your computer could possibly receive viruses / damaging code. Streaming eliminates this potential threat because our language courses are not transferred to your computer. Unlike a download, which is transferred to your computer, the language courses remain on our computers and you simply stream (view and operate) them through your computer. This safety advantage provides complete peace of mind for our highly valued customers! You own the language courses for life. That means you can take, as well as retake, the courses whenever it is convenient for you. Unlike buying language course paper books with CDs from a storefront shop, we have a permanent record of your purchase on our computers. If you lose a book and / or a CD, the shop won't replace them. If you lose or accidentally delete your personal access link simply send us an email and we'll happily send it to you again. If your computer is ever lost, stolen or breaks down at least your language courses are not lost with it and are always available to you! All future upgrades / improvements to the courses are also yours at no additional cost and are easy for us to implement. If you buy a book and / or a CD you only ever own that edition. A company that sells physical products could not offer this lifelong replacement advantage without a significant price increase. You don't have to wait for the postman to deliver your language courses and can begin learning Amharic right now! Normally customers have to spend more money for time-saving convenience, but streaming has achieved the opposite effect. It has brought costs down considerably. 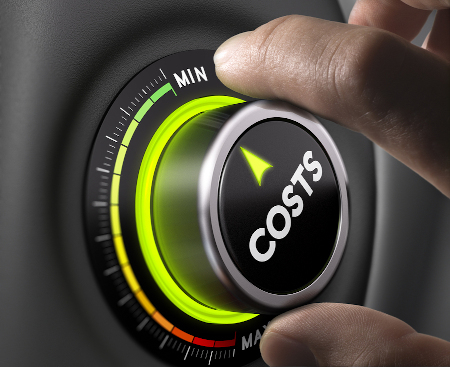 Companies always pass their costs on to their customers, but streaming has greatly reduced these costs. The end result is that you have all of these advantages and you save significant amounts of money, all thanks to streaming. Modern technology certainly has many advantages! The advancement of digital technology and the Internet has had a few side effects. While it has made learning far easier, for example being able to learn a new language in the comfort of your own home, it has also meant that the foreign language course market has been flooded with 'one-man-band upstarts' and vastly inferior language courses. You already know the wise adage, “You get what you pay for.” We firmly believe in healthy competition because healthy competition raises the standard of all consumer products which benefits everybody throughout society, but the cheap language courses that we have looked at cannot be classified as healthy. Of course, how you spend your money is up to you. We ask only that you make an informed decision. Does the cheap company have studio recordings from Amharic mother-tongue speakers, which ensures that you learn correct Amharic pronunciation and intonation? Are they a proven market-leader that has 79 available languages as indisputable proof of success? Do they have over seventeen years of experience in language course development? Most importantly, were their language courses designed by genuine experts with university degrees in Language Science or did they just decide that they were 'qualified' with the self-proclaimed understanding that “I is qualified cause there be cash in them thar landwhich curses...”? When learning a new language it is essential that you optimize time and money invested by learning correct vocabulary from appropriately qualified experts. If you learn incorrect Amharic vocabulary you will struggle to forget it. Do you know the adage, “The person that buys cheap buys twice”? Quality education costs money, but for very good reasons! Is your education the right place to risk wasting your money, just to try to save a few dollars? There simply is no need to take such a risk. Our language courses are very reasonably priced! Would you regard $2,70 a month as a reasonable amount to pay for such a beneficial skill? We believe our prices are fair and our 600 000 satisfied customers agree. By the way, our courses can cost even less than that depending on how often you use them. That is the advantage of a one-off fee: the price is locked in and cannot increase, but the value-for-money increases every month for life. We know from our research that once our customers have paid for our courses they become determined to succeed. Why? Simply because they have made a financial commitment and are determined to get their money's worth out of the courses. That attitude leads to success! Spending money on a freely chosen task is a great motivator. It often provides the necessary drive towards achieving a goal. With your desire to speak Amharic and our empirically-proven learning methods, success is guaranteed! Certainly! We want to be your expert guide through the rewarding and beneficial experience of learning your new language. We know that if we can exceed your expectations you will recommend us to your friends, family and colleagues when they mention that they want to learn another language. We have done our part by creating highly effective language courses and then adding even more value with an exceptional special offer! You will receive significant savings if you buy all of the courses that are available within your new language. For a limited time only, you will save up to 60% off our regular prices with this buy-in-bulk discount. This deal is so great because it takes you all the way to being completely fluent in your new language and you save money by doing so! Certain languages have fewer courses available than more widely-spoken languages, but we are still offering significant savings with our current buy-in-bulk discount. The savings will be between 33% and 60% depending on the number of courses available within your chosen language. For languages that only have the Express Course available, we are currently offering a 33% discount ($19,95 instead of $29,95). Our complete package deal of five courses is currently available for only $97, instead of the regular price of $247 (a 60% discount). How can we offer such a low one-off fee? That question is answered in the detailed explanation of streaming, found above. After paying the one-off fee of $97 all five courses are yours for life. Let's say you become fluent in your new language within the next few months and then, years from now, you decide to retake your courses at a slow pace just for fun. Many years after that, you decide to pass your courses on to friends. Let's say during all of those years, your courses were actively used for three years. $97 divided by three years is $2,70 a month. Would you regard $2,70 a month for a rewarding skill as good value-for-money? The ability to speak another language is a skill that you will continuously benefit from for life, therefore the price structure of language courses should also be viewed in the long-term. For example, after ten years of unlimited access your courses cost $0,80 a month. The one-off fee of $97 divided by ten years is $0,80 a month, which is certainly great value-for-money. You had the complete personal flexibility to take / retake / pass on your courses whenever it was convenient for all of those years, as well as the benefits that are continuously derived from speaking another language fluently. Spread out over a lifetime, the price becomes insignificantly low. That is the advantage of a one-off fee: the price is locked in and cannot increase, but the value-for-money increases every month for life. No other company in the world offers lifetime access to an equivalent set of five language courses for our low price of $97. Our multimedia courses are superior to, or as effective as, the courses offered by the largest companies in the world; yet their price is up to five times higher than our price. $97 is the lowest price we have ever offered to individual customers for the complete package deal. This current special offer will end! We reserve the right to remove this special offer at any time, without warning. Why spend more later, when it's too late to save $150? Do you agree that it makes sense to lock in the lowest price? You asked for a great deal... Done! This current special offer provides exceptional value-for-money. You will receive proven, market-leading language courses at a 33% to 60% discount. You will soon be confidently chatting away with mother-tongue speakers of your new language and making a great impression. We hope that we have made the decision to buy your language courses from us as easy as possible for you. Join our 600 000 satisfied customers and begin receiving all of the benefits of speaking your new language today! Obviously we cannot convince you to do something that you don't want to do, nor is that our intention. Either you want to learn Amharic or you don't. The choice is entirely yours. Actually our language courses "speak for themselves", if you'll excuse the pun ;-) If you try our courses we're certain you'll be 100% satisfied. Let's consider a few facts. You know for a fact that procrastination cannot possibly lead to success or any level of achievement. Procrastination feels uncomfortable to all of us because we intuitively know that it keeps us in a stagnant state and prevents us from moving forward towards achieving our goals. We also know that the uncomfortable feelings that procrastination produces immediately end, the moment we take action. The positive feelings of moving forward towards achieving our goals immediately begin, once we take the first step. Actually this is all very simple. This isn't a big decision - you are only deciding if you would like to learn another language or not. So the simple question is: Is one of your goals in life to learn Amharic? Yes or no? It really is an easy yes or no question and one that you can answer right away. Either you would like the ability to speak Amharic or you wouldn't. Are you in? If your answer is yes, then what is the point of deliberately wasting time with self-defeating procrastination when you can begin right now? What is going to be different tomorrow? 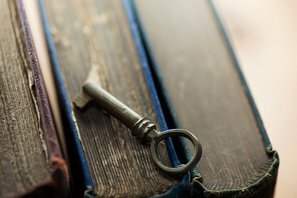 If you know that you want to speak Amharic and all of the beneficial experiences that follow, then what is the point of standing outside the door that you have already decided you want to enter and deliberately dropping the key? Learning a new language opens several doors that remain closed to those that can only speak one language. Behind these doors are fun experiences, new friendships, relationships and career opportunities. Opening the doors is easy – you simply have to do it. You can definitely achieve your goal by making a small effort and taking action right now. Only action counts because just thinking about learning Amharic cannot possibly result in learning Amharic. It only takes a small effort to take the first step, but you have to actually take the first step in order to achieve your goal. Once you have purchased language courses from us you own them for life. You will have a rewarding skill that continuously enriches your life in many beneficial ways! 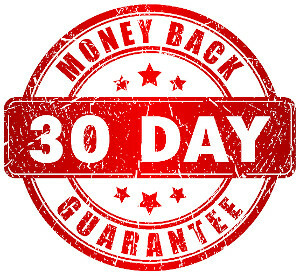 We provide a 31 day full-money-back guarantee, so you have absolutely no risk and nothing to lose but a lot to gain! You have plenty of time to thoroughly scrutinize the courses. If you're not 100% satisfied you'll get a 100% refund. No problem at all. More than 600 000 of our satisfied customers can speak another language with ease and confidence because they made the decision to buy courses from us. They are already enjoying all of the interesting and beneficial experiences that speaking another language brings, simply because they took action towards achieving their goal. Now it’s your turn. Your exciting journey is about to begin. Today is the day you begin speaking Amharic with ease and confidence! Try our Amharic Express Course completely risk-free and if you don’t think it’s as beneficial as we say it is, we’ll refund 100% of the purchase price. You have no risk and nothing to lose, but a lot to gain! 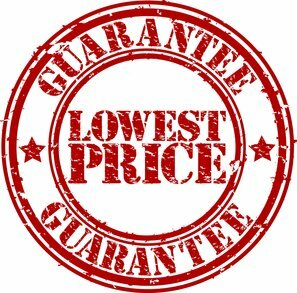 1) We provide a 31 day full-money-back guarantee. You have plenty of time to thoroughly scrutinize the language course. If you are not 100% satisfied for any reason, simply send us an email letting us know what you are not happy about so that we can improve our service. If you prefer, you don't need to give any reason at all and can simply let us know that you want your money back. We will then transfer the exact amount that you paid back to you. We will pay all of the transaction fees, so you will not lose a cent. We're happy to accept the very low risk of losing money on the deal because we have a very high level of customer satisfaction! Our innovative learning methods and goal-specific motivational techniques ensure success. We know that your complete peace of mind is the first step towards your complete satisfaction, so you’re 100% covered. 2) We stand by the timeless quality of our course by providing a lifetime guarantee. You can take / retake the course whenever it suits you because your access is unlimited by time or location. All future upgrades and improvements are free. Unlike buying language course paper books and CDs from a storefront shop, we have a permanent record of your purchase on our computers and so you can access your course at any time in the future. If you lose or accidentally delete your personal access link simply send us an email and we'll happily send it to you again. If your computer is ever lost, stolen or breaks down at least your language course is not lost with it and is always available to you. Once you have learned your new language you may wish to pass your course on to your family and friends. Thanks to our lifetime guarantee, that is no problem. After all, if you buy a paper book you own it for life and can pass it on to your family and friends. Why should a digital language course be any different? 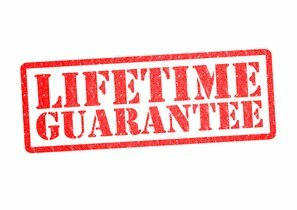 By the way, we take our lifetime guarantee very seriously! Every possible eventuality has already been considered. You may find it amusing to know that precautions have been put in place to ensure that our language courses would even survive a local nuclear disaster. The total cost of developing all of our courses over all these years is a very large amount of money, as well as the time and passion that we have invested. Please rest assured that we have given this subject a lot of thought and taken adequate precautions. We can guarantee that LearnLanguages24.com will always be there and is a company that our descendants will also be proud of. 3) We guarantee that our current special offer is our best ever. These are the lowest prices we have ever offered to individual customers. This special offer will end! We reserve the right to remove this special offer at any time, without warning. Why spend more later? Do you agree that it makes sense to lock in the lowest price right now? Remember, you only pay once and this is handled for life! Buy your Amharic language course here! You are minutes away from speaking Amharic with ease and confidence. Your complete peace of mind is very important to us, so we provide you with three guarantees: a 31 day 100%-money-back guarantee, a lifetime-access guarantee and a lowest-price-ever guarantee. You have no risk at all and nothing to lose, but a lot to gain! The Amharic Express Course normally sells for $29,95. We are currently offering savings of $10. This bestselling course is all yours for only $19,95. This exceptional 33% discount is the biggest in our company's history! Speaking Amharic is an enjoyable skill that continuously enriches your life in many beneficial ways. Join our 600 000 satisfied customers and speak Amharic with ease and confidence right now. Please click once, then wait a few seconds. After clicking on the 'Order now' button you will have the choice of being transferred to Stripe's 100% secure SSL site if you want to pay with a credit / debit card, or PayPal's 100% secure SSL site if you prefer to pay via PayPal. All processing fees are included in our low price. P.S. Would you like a recap of why this is a great deal? Once you have purchased this course you own it for life. You, as well as your family and friends, can also take / retake your course at any time in the future and it won't ever cost another cent. All future upgrades and improvements are free. The course will certainly make a beneficial gift one day. You will make some fortunate people very happy with the gift of a foreign language education. Let's say you learn the most useful basics of Amharic within the next few days and then, years from now, you decide to retake your course just for fun. Many years after that, you decide to pass your course on to friends as a beneficial gift. Let's say during all of those years, your course was actively used for 10 months. $19,95 divided by 10 months is $1,99 a month. Would you regard $1,99 a month for a rewarding skill as great value-for-money? The ability to speak another language is a skill that you will continuously benefit from for life, therefore the price structure of a language course should also be viewed in the long-term. For example, after ten years of unlimited access your course cost $0,16 a month. The one-off fee of $19,95 divided by ten years is $0,16 a month, which is certainly great value-for-money. You had the complete personal flexibility to take / retake / pass on your course whenever it was convenient for all of those years, as well as the benefits that are continuously derived from speaking Amharic. Spread out over a lifetime, the price becomes insignificantly low. That is the advantage of a one-off fee: the price is locked in and cannot increase, but the value-for-money continuously increases every month for life. We want to make this decision as easy as possible for you. This exceptional 33% discount is the biggest in our company's history. $19,95 is the lowest price we have ever offered to individual customers for the Amharic Express Course. This current special offer will end. We reserve the right to remove this special offer at any time, without warning. Why spend more later? Simply order now and you won't ever spend another cent. This is handled for life. Furthermore, all credit / debit card and PayPal fees are currently included in our low price. After clicking on the 'Order now' button you will have the choice of being transferred to Stripe's safe and secure SSL site if you want to pay with a credit / debit card, or PayPal's safe and secure SSL site if you prefer to pay via PayPal. We receive no financial information at all. This course is completely tax-free for you, regardless of which country you live in. If there is any tax, we will pay it. Most of our customers live outside of the European Union and therefore are not subject to local sales tax, known as VAT in Europe. In order to comply with this law we are required to ask for your country of primary residence. We require your email address so that we can email your personal access link to you, as well as provide you with efficient customer support if you ever have any questions. We are a reputable, trustworthy and ethical company. Your information will not be shared with any third party. All necessary precautions have been put in place to ensure that the information you share with us is protected. Learning Amharic is enjoyable and rewarding! Studies have reported an increase in cognitive ability and self-confidence in those that can speak more than one language. Both foreigners and locals have more respect for a person that can speak a foreign language because the ability is immediately perceived as a sign of superior intelligence. As the world becomes 'smaller' with each passing month those that can only speak one language will continue to be at a disadvantage, regardless of which country they are from and which language they speak. This disadvantage could be in the form of opportunities missed or fun experiences denied. Learning Amharic has never been this affordable and this easy, so there simply is no reason why you should miss out. A wonderful sense of achievement is derived from the ability to speak another language. You have more options, more freedom, more fun and get more out of life. Whether you learn Amharic for personal improvement, adventure travel, new friendships, the love of your life, career advancement or as an enjoyable hobby, you are guaranteed to benefit tremendously. Don't miss this opportunity to learn Amharic from an established market-leader at a 33% discount. Our unique learning methods are empirically proven to accelerate progress with minimal effort, so that learning Amharic is both easy and fun. No other company in the world offers lifetime access to an equivalent Amharic Express course for our price! All of the benefits that are continuously derived from speaking Amharic are yours forever. You will make a great impression on everyone you meet for a very reasonable one-off fee. $19,95 is an economical price for a rewarding skill you will have for life. Simply order now and this bestselling course is yours at the lowest price ever. Do you agree that it makes sense to lock in the lowest price? We provide a 100%-money-back guarantee, so you have no risk and nothing to lose but a lot to gain. Join our 600 000 satisfied customers and speak Amharic with ease and confidence right now. Copyright © 2002 – 2019, LearnLanguages24.com, All Rights Reserved.  More than 450 useful words and phrases!  Your choice of 12 effective learning methods!